I am David Thiel, a condominium lawyer at the firm of Fogler, Rubinoff LLP. I have practiced in this area for 15 years, including time with a boutique condominium law firm prior to joining Fogler, Rubinoff LLP in 2005. My focus is advising condominium Boards and managers in a wide variety of condominium governance issues. 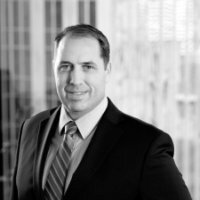 As condominium corporate counsel, I advise Boards of Directors and managers with respect to an array of matters including first year budget deficit claims, Tarion claims, shared facilities disputes, reserve fund expenditures, enforcement matters, by-laws and review of all manner of agreements. I have started this blog to make a record of my thoughts on ongoing developments in condominium law, which may be of interest to others in the condominium community.